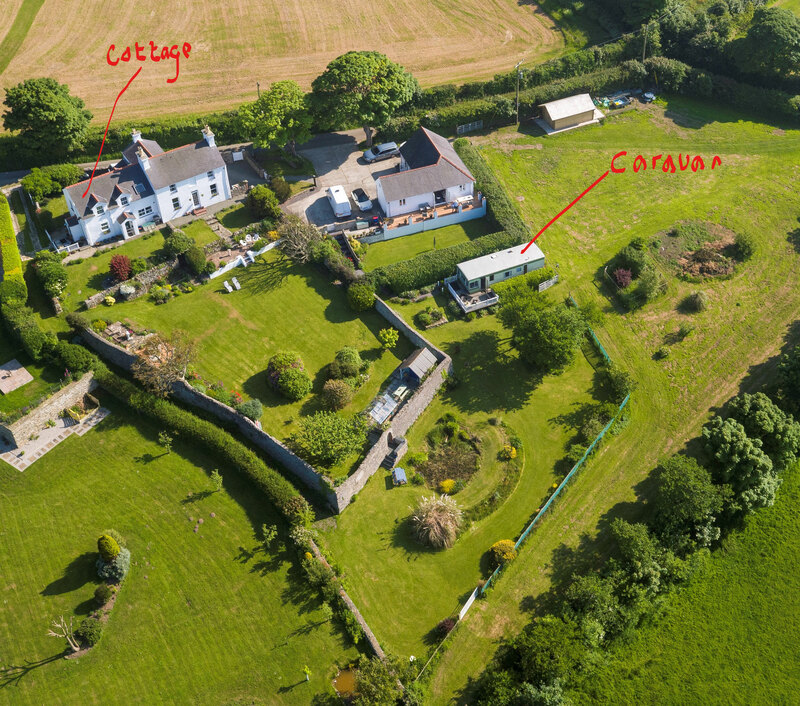 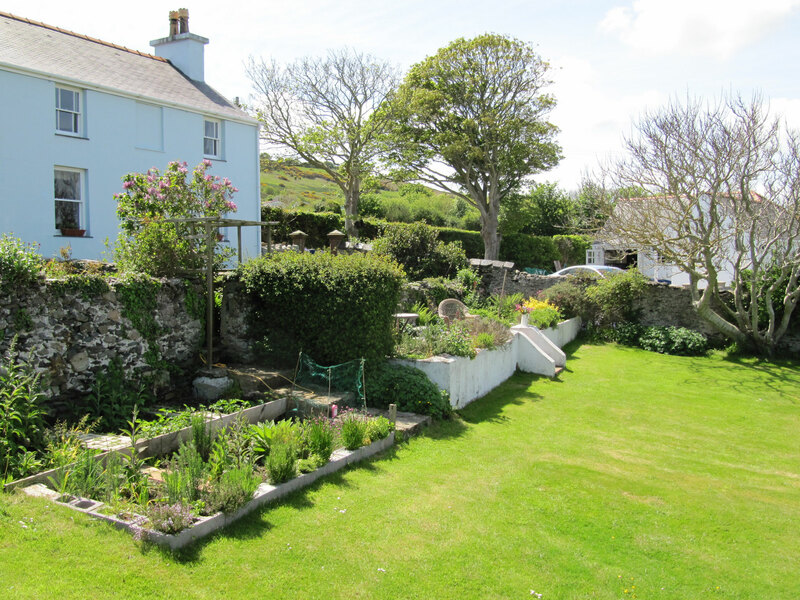 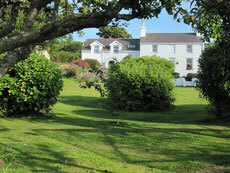 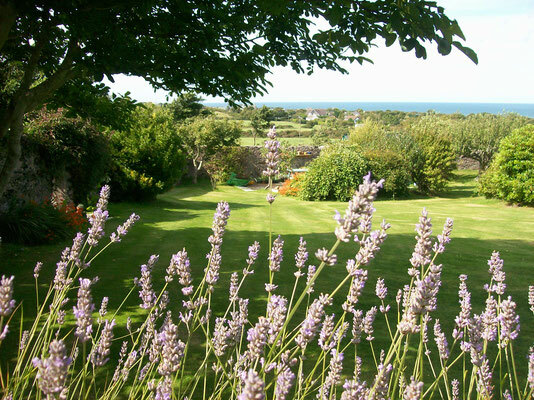 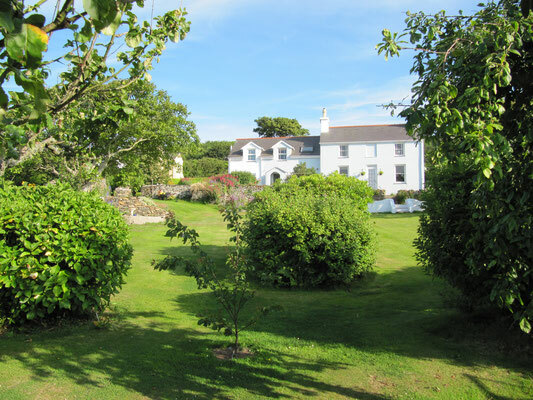 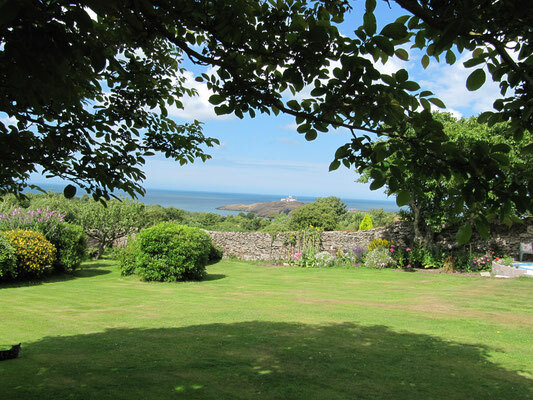 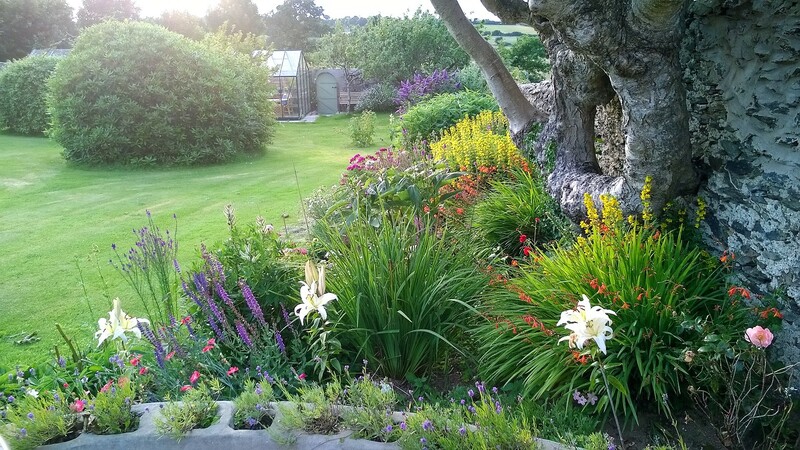 The are many areas to the garden here at "Ynys Goch". 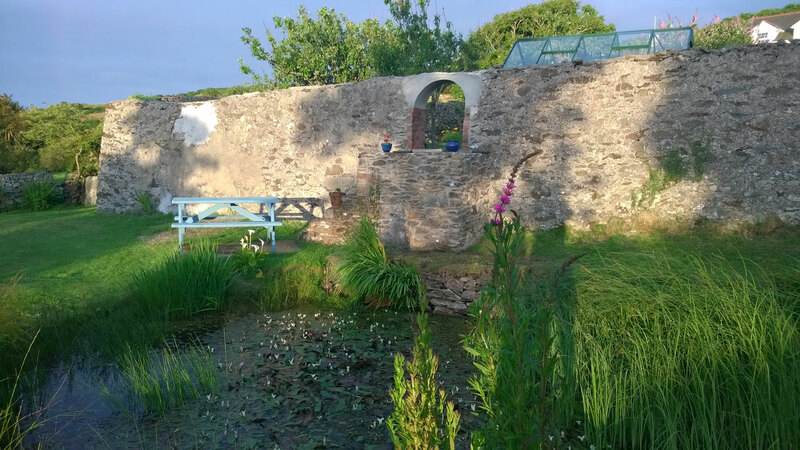 The original Victorian walled garden is sheltered and has several seating areas for guests - and is just below the Cottage. 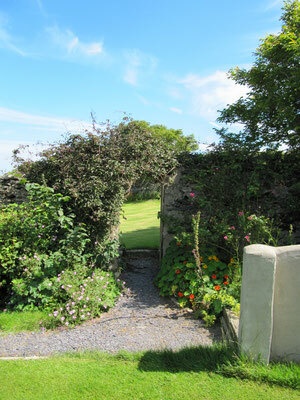 Beyond that is what we call the outer garden where the Caravan is and the wildlife pond. 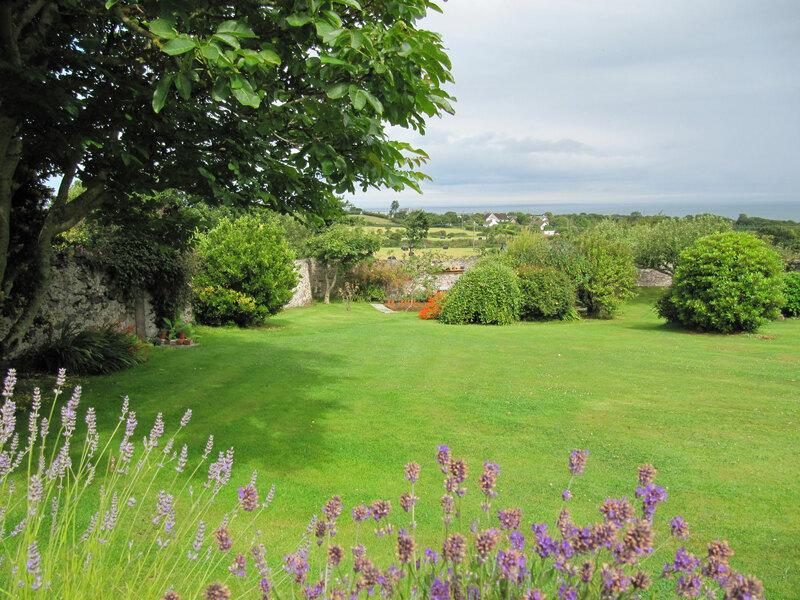 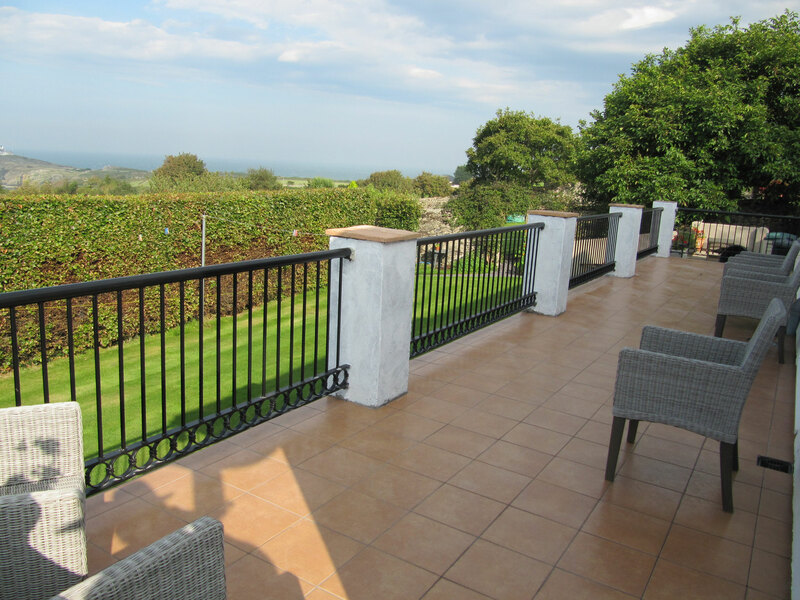 We also have two 1 acre fields which guests are welcome to stroll around and enjoy the views and plants that have 'overflowed' from the main gardens! 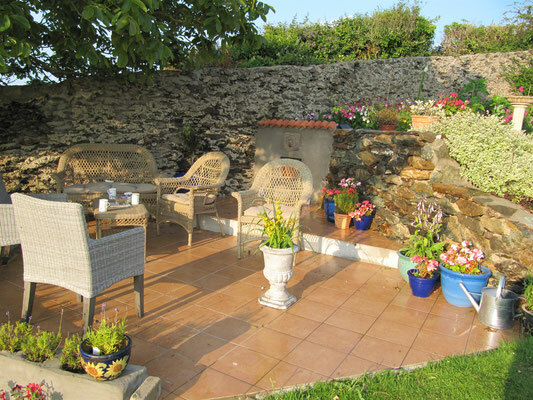 Guests are welcome to enjoy all parts of the gardens - find a place to sit - and relax with a glass of wine, beer or a cuppa!